The Newport 60+ Activity Center will offer four more classes in alcohol inks this month, giving participants the chance to create their own one-of-a-kind masterpieces. 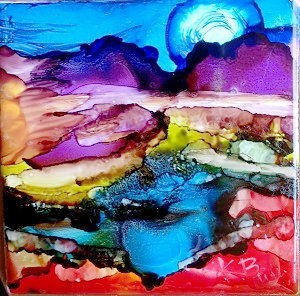 Sherri Dougan will lead the classes, where students will learn how to create their own custom alcohol ink tiles. Students will get to choose the tile size, create unique patterns, pick out colors and make it their own. Classes will run from 10 to 11:30 am and again from 1 to 2:30 pm on Mondays, Oct. 15 and Oct. 29. There is a $5 materials fee per class. To register, drop by the center at 20 SE 2nd Street, or call 541-265-9617.